Have you ever tried to process a new piece of information but find that you simply can’t get a grasp on understanding it? You may need to approach it with a different method. Everyone learns differently—some people will want things shown to them, while other people need information written down. Some people like to listen to explanations while others will need to physically study it in order to soak it in. Schools tend to apply different methods of teaching during classes in order to accommodate all kinds of learners, but when you’re studying at home, it may be beneficial for you to figure out what type of learner you are and apply it to your personal work. Reading and writing is a combo that makes up a very traditional style of learning. If you are a reading or writing type of learner, then you will be able to learn best by reading text and rewriting it. For example, if you were learning a language, you would find it easiest to study the vocabulary by reading the words on a page, then copying them out yourself. Graphs, infographics and dioramas are a visual learner’s bread and butter. It helps this type of learner to see the information in context and be able to visualize it in their mind. If you are a visual learner, then you’ll find colors helpful. When trying to remember a point, you will try to form an image of it in your head. When learning a language, creating charts and maps to link vocabulary and learn conjugations is hugely helpful to visual learners. Auditory learners will flourish when they are able to listen to information in order to learn it. If you’re an auditory type of learner, you will be a whizz at learning in lectures and will find podcasts incredibly useful. Auditory learners tend to process information by repeating it to themselves either out loud or in their heads. They will be the ones to be able to commit language to memory by listening to others speak it. A more tactile approach is favoured by kinesthetic learners when studying. This type of learner will enjoy reading the information aloud, acting through problems and practical work. A kinesthetic learner tends to prefer picking up a language by conversing with native speakers. 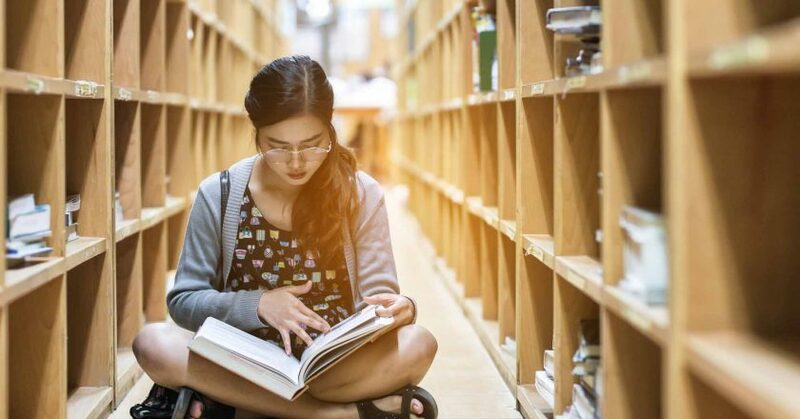 Don’t try to punish yourself by studying in “traditional” ways. Everybody learns differently and at different paces, so try different methods to find one that works for you. While many people have turned to vaping as a ‘healthier’ alternative to smoking, new research has found that e-cigarettes may cause cancer. The study from the New York University School of Medicine found that the nicotine from e-cigarettes damages DNA and its ability to repair itself in mice. This means that it is more likely to mutate and develop into cancer. While it was previously found that some e-cigarette flavourings can cause a type of scarring in the lungs colloquially dubbed “popcorn lung”, it’s the nicotine itself that caused DNA damage in the mice. 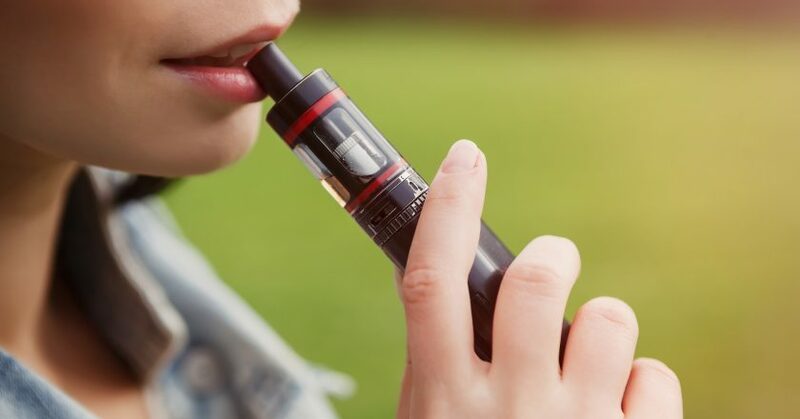 The mice were exposed to a vapour of nicotine and liquid solvents—the recipe for e-cigarette vapour—as well as both nicotine and liquid solvents separately. The study suggests that the way the body metabolises nicotine is what causes mutations in DNA to form. While this research has been eye-opening in regards to public awareness surrounding e-cigarettes causing cancer, it still hasn’t been confirmed to what degree they are harmful in comparison to cigarettes. In 2016 the Royal College of Physicians issued a report suggesting that the UK government should encourage smokers through health policy to switch to nicotine substitutes such as e-cigarettes. They have stuck by their hypothesis that “the available data suggests that they are unlikely to exceed five percent of those associated with smoked tobacco products, and may well be substantially lower than this figure”. How do you get the stone out of an avocado? You cut open the skin, halve the green body and find a big stone inside. A surprising majority of people use a knife (!) to jab the stone out. 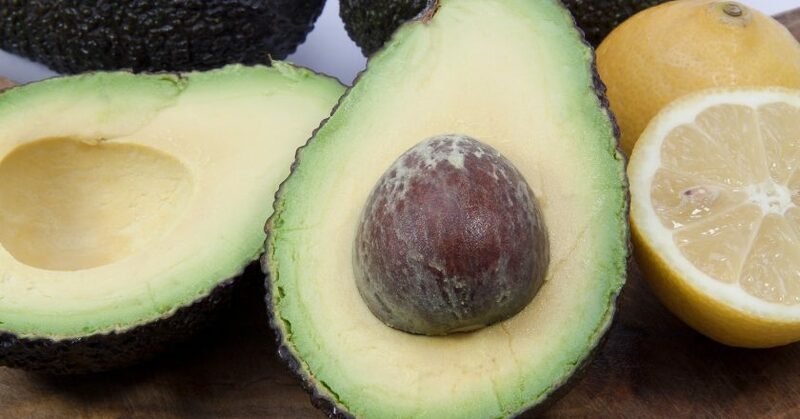 Unfortunately, due to the soft nature of the fruit and how slippery the seed is, a jab of the knife can give you a nasty cut, known as “avocado hand”. Doctors have reported a rise in avocado-related injuries since its surge in popularity in recent years. People grasp the avocado while cutting it instead of using a surface or chopping board, leaving a number of vital tendons and bones in the direct path of the blade should things not go according to plan. If the knife pushes deep enough through the avocado towards the hand holding it, it can sever the tendons that work the fingers. If the nerves are damaged it can potentially cause permanent loss of movement in part of the hand. Often, tendon injuries will need surgery to repair damage. Even the rich and famous aren’t immune to “avocado hand”. Meryl Streep turned up to promote the film Hope Springs (2012) in New York sporting a big white bandage. She lost a fight against an avocado and had to have surgery to prevent the injury from causing any further complications. Another potential hazard associated with “avocado hand” is the vegetable matter itself. Even if the wound isn’t severe enough to warrant a trip to hospital, bits of the avocado could have been pushed into your hand by the blade. This can easily cause infections as it decomposes inside you. As this gets worse, it affects your fingers. Who knew that avocados could cause you to lose the use of certain fingers or even your entire hand?! Be careful when preparing your instagrammable brunch! In the UK, a supermarket chain aims to end “avocado hand” once and for all. Marks & Spencer have started selling cocktail avocados. They are about five to eight centimeters long and don’t contain a stone, making them much easier to cut. Marks & Spencer say that you may not even need to use a knife on them because the skin is soft enough to eat! These new avocados aren’t necessarily the product of some kind of genetic modification—they are simply grown from an unpollinated avocado blossom. After months of speculation, Prince Harry and Meghan Markle have finally announced that they are engaged. According to a press release from Clarence House, they became engaged in London earlier this month after seeking blessings from Meghan Markle’s parents and the Queen. Prince Harry, 33, and Meghan Markle, 36, met in 2016 and their whirlwind relationship has gained widespread attention. 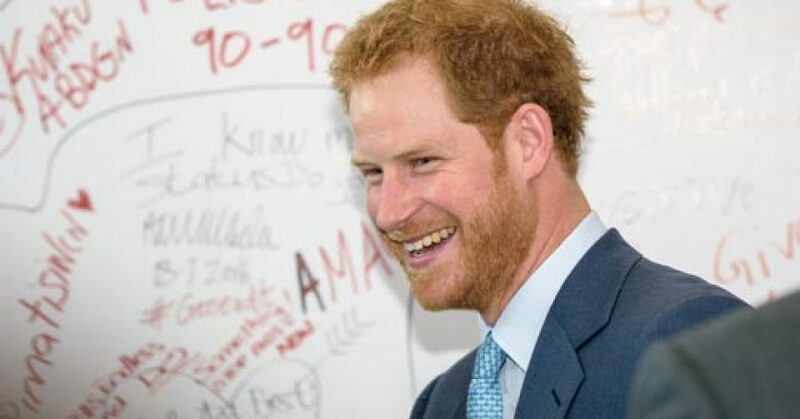 By November 2016, Prince Harry was forced to ask the press to leave Meghan Markle alone after concerns about her privacy and safety. It has not been confirmed whether Meghan Markle will be able to continue acting after marrying Prince Harry, the fifth in line to the throne. It has been announced that she will leave the popular US show Suits at the end of season seven, prior to their wedding. There was speculation as to whether the pair would be allowed to marry. The media have drawn certain parallels with Wallace Simpson—the woman who caused so many problems for Prince Harry’s great uncle, King Edward VIII. Wallace Simpson was an American divorcee and as both of her ex-husbands were still alive, it was declared that she could not marry the king unless he gave up the throne. Meghan Markle has been married before, but luckily the rules have since relaxed. The wedding is due to take place in May 2018, so for all you royal-fans, the good news is that you won’t have long to wait. While the Church of England confirmed that they are allowed marry at Westminster Abbey—the same place where Prince William married Kate Middleton in 2011—it has been announced that they will tie the knot at Windsor Castle. Thanksgiving is wonderful when you have a warm plate of turkey and stuffing in front of you and loved ones all around; unfortunately, not everyone gets that luxury. College is a great time for you to volunteer and experience new things—why not volunteer for Thanksgiving to make someone else’s holiday a little bit better? Whether it’s making someone feel less lonely or giving food to the homeless, there are a great variety of schemes available for you to get involved in—it only takes a little bit of effort to make a big difference. 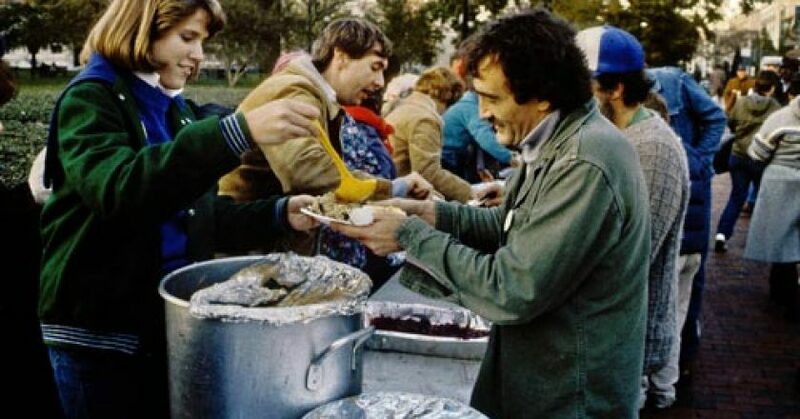 The traditional way to volunteer for Thanksgiving is to help out at a homeless shelter or soup kitchen. There you can help prepare or serve food as well as be there as a friend to the homeless this holiday. These kitchens are usually set up by local churches or charities, so it’s worth asking round about one in your area. These soup kitchens can be a little manic at this time of year, so expect to be shoved into an apron and thrown into the deep end! You’ll meet a wide variety of interesting people, and it might make you want to volunteer even more often. There are many elderly people in America who struggle to get out of the house and may be feeling very lonely this Thanksgiving. Take the time to visit your elderly relatives over the break. Additionally, you could volunteer this Thanksgiving and visit an elderly care home and talk to the residents there—just make sure you ring up in advance to see if it will be okay for you to do so. Some places put on special events that you can help take part in, such as Thanksgiving bingo or mini-concerts where visitors sing and dance for the residents! If you don’t have time to volunteer for Thanksgiving, there are alternative things you can do to help other people. A popular option is to organize care packages to send to troops overseas. Some people love to get creative with stickers and paint, making gift boxes look like a Thanksgiving explosion. If you don’t fancy that, then any soldier would at least appreciate a hand-written note. Try to focus less on edible items and forget those that won’t travel well. Instead, think about games and nick-nacks they may enjoy. You could also make a care package for the homeless—bulk-buy items, put them in ziplock bags and take to the streets to distribute them! You can include toothpaste, toothbrushes, snacks, menstrual products, a travel mug/plastic bottle and some cash. Don’t forget how cold it is at this time of year, especially at night on the street, so try and include some warming gloves, a scarf, a coat or some hand-warmers. While graduation seems like it’s a long time away, before you know it you’ll be launched into the world of work. With thousands of students graduating across the country it can feel like a mad scramble to get a job after college. In the wise words of The Hitchhikers’ Guide to The Galaxy: “don’t panic”. With just a little time and effort, you too can join the ranks of working Americans with your very own job. We’ve collected some advice that you may find useful in your job search. Do you have any specific interests? Are there any skills you have that you want to be able to use in a future career? Try and figure out where you want to be in 10 years time and use that as your goal. Maybe you want to be a writer, a lawyer or a marine biologist. Pick out skills or experience that you’ll need to achieve this goal and work towards it in your search for a job after college. This nugget of advice may seem contradictory to the previous, but it’s true. Very few people find themselves with their ideal job as the first one they get. Instead, apply for jobs with similar elements to your dream role, and use it to work on your transferrable skills. 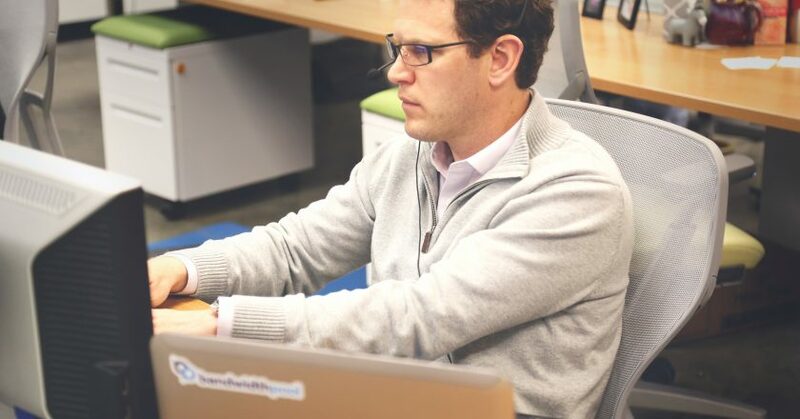 Employers may be nervous about hiring a graduate who doesn’t have much experience, so try and use your first job after college to show future employers that you are a reliable worker. You could try to enter the industry you eventually want to end up in, but don’t be discouraged if you have to start at the very bottom of the ladder. We live in a world of endless technological possibilities—why are you stuck using emails and phone calls to try and get yourself a job? With social media, there are hundreds of employers looking to hire. LinkedIn allows you to showcase your skills while applying for jobs. You could even create your own website to properly advertise yourself on. Take charge of your personal branding so that people can reach out to you, or see what you’re made of when they’re considering hiring you. Who is doing what you want to do? Find people with your ideal job and reach out to them. Try not to be creepy or annoying—instead, contribute to their conversations on Twitter, or respond positively to their work. There are plenty of networking events and career fairs you could attend in order to meet like-minded people. Be confident, introduce yourself and let them know you’re available. There is always going to be that one person who gets the perfect job after college having sent out just one application. Whether you send out one, 10 or 100 applications, don’t lose hope that you’re going to get to where you need. Take care of your mental health during your job search—take breaks when you need to and don’t be afraid to ask for help. Just make sure you keep that end goal in sight. Make sure you’re eating foods high in vitamins in order to get the nutrients you need without buying expensive supplements. As a student, it can be so easy to stick to eating the same foods everyday. You know what you like, you know how to make it, so why not? Unfortunately, eating just instant noodles and pizza may cause nutrient deficiencies. You need to make sure you’re getting the nutrients you need in your diet to keep yourself healthy. The problem is, there are so many different vitamins and minerals all doing different things for your body. It can be hard to keep track on what you need to eat, and buying vitamin supplements isn’t always the cheapest option. While you should be eating a wide variety of foods high in vitamins in order to receive the nutrition you need. Here are four things you can include in your diet to easily get a wide range of nutrients. Leafy greens like spinach and kale provide you with lots of different vitamins with very little hassle. These can contain vitamin K, vitamin A, iron, calcium, folate, magnesium and omega 3. These nutrients support healthy eyesight, strong bones and brain health among other things. Include leafy greens in a side salad or whizz them up in a smoothie in order to get this range of essential nutrients. 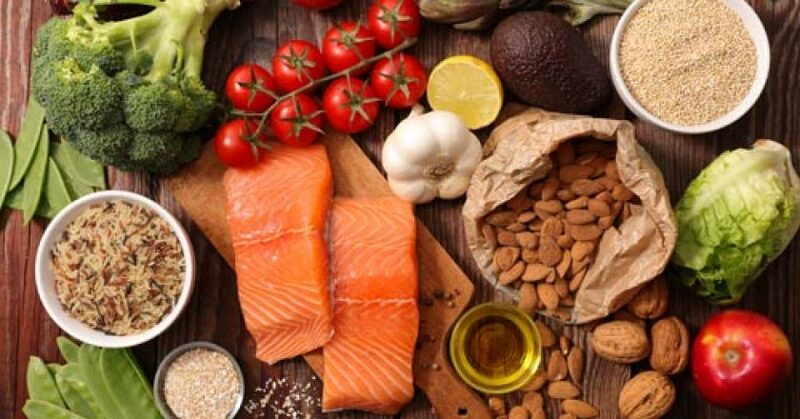 It’s no secret that oily fish like tuna and salmon are great for getting your recommended dose of omega 3. This fatty acid is vital for brain and cardiovascular health, and is thought to reduce the risk of Alzheimer’s disease later on in life. As well as omega 3, fish can contain vitamins K, D and B, iron and potassium. Fish may not be the cheapest food to buy fresh, but there are plenty of tinned and frozen products that can give you the same health benefits. Nuts and seeds are another food group high in vitamins. Packed full of nutrients, nuts and seeds make a great snack for eating on the go. Most of them have high levels of B vitamins such as selenium and niacin, and can also help you get omega 3. Peanuts and cashews are great contenders in nutrition, and almonds famously contain high levels of vitamin E. Sunflower seeds have high levels of vitamin E for immunity and healthy clotting, and B vitamins support a healthy metabolism and prevent anemia. There’s no denying it: the easiest way to increase your levels of vitamin C is to eat fruit. The good news is that all fruits and a lot of vegetables contain good levels of vitamin C. Pineapples, oranges and strawberries are all high in vitamin C, as well as bell peppers, broccoli and Brussels sprouts. Vitamin C helps to keep skin, bones and cells healthy. Scurvy—a disease caused by lack of vitamin C—isn’t just for pirates. Up to eight percent of the population could have scurvy in the present day. 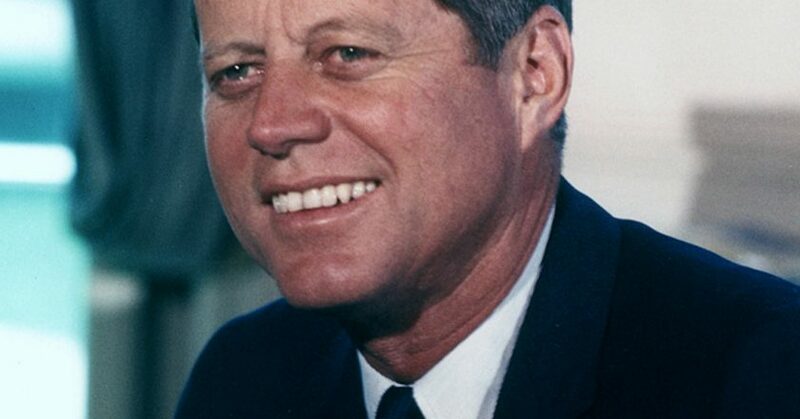 The assassination of John F Kennedy, the 35th president of the United States, has been a hot topic for conspiracy theorists for the past half century. 2,800 documents were released following an order from president Donald Trump last week, revealing elements of top-secret information never before seen by the public. With around five million cables, memos and documents, many are still currently sifting through the new information. College News has collected together the points of interest in the JFK files that have been found so far. There are several aspects of the assassination of JFK that remain undisputed even after the release of the government files. On November 22 1963 while traveling in an open-top car through Dallas in a presidential motorcade, Kennedy was shot twice—once in the back and once in the head. Lee Harvey Oswald was named as responsible and was taken into custody by the police. The arrest took place an hour after the shooting when Oswald was going into a theater without paying. Two days later, whilst being transferred to a county jail from Dallas Police Headquarters, local nightclub owner Jack Ruby shot Oswald in the abdomen. He died in the same hospital where doctors had tried to save the life of Kennedy only days before. It had been revealed in the JFK files that the FBI were aware of Oswald a month before he fatally shot the president. While they may not have known what he was planning to do, the New Orleans division of the FBI were attempting to locate Oswald with suspicions that he was attempting to establish a pro-Castro, Fair Play for Cuba Committee (FPCC) in Dallas. He was considered a “person of interest”, however he was not found. Additionally, we have learned that 25 minutes before the assassination, a British newspaper received an anonymous tip-off. A reporter from Cambridge Evening News was told that they should call the American Embassy in London for some “big news”. The main point of contention for conspiracy theorists is whether or not Oswald worked alone in assassinating the president. Both Cuba and the Soviet Union were suspected by the FBI due to Oswald’s connection with them. Oswald had been honourably discharged from the Marine Corps when he defected to the Soviet Union. The JFK files show that Oswald was found to have been in contact with a KGB officer connected with “the KGB’s 13th department (responsible for sabotage and assassination)” in 1963, prior to the assassination. Soviet officials were adamant that Oswald had no connection with the Soviet Union. They feared that Kennedy’s assassination would provoke the United States to launch a missile at the Soviet Union and denounced Oswald as a “neurotic maniac”. Likewise, Cuba told America that they had no involvement in the plot. However, it was revealed in the JFK files that Cuban Ambassador Cruz’s initial reaction to the assassination was one of “happy delight”. Around the same time, the CIA planned several schemes to kill Fidel Castro. Some of them were fairly bizarre, as detailed in one of the documents, such as contaminating a skin-diving suit with fungus and tuberculosis, and various forms of poison. It has been revealed in a memo written by FBI director J. Edgar Hoover that they were warned of a potential death threat to Oswald. The night before Jack Ruby shot Oswald, the FBI received a phone call from a man “saying he was a member of a committee organized to kill Oswald.” They were assured that Oswald would be given sufficient protection. “However,” Hoover wrote “this was not done.” This memo has fuelled many pre-existing conspiracy theories that Oswald was killed as part of a cover-up. What could be more perfect than snuggling up on a rainy fall day with a blanket, a mug of cocoa and a good book? Here are College News’ recommendations for books to read this fall. No book will get you more in the mood for fall than this magical novel. Set in 17th century Amsterdam, Jessie Burton’s debut novel features young Nella Oortman who marries a rich merchant. Her distant new husband, Johannes Brandt, gives her a doll-sized replica of their house for her to furnish as a hobby. A mysterious miniaturist sends her eerily life-like figurines of members of the family that appear to predict the future. On the morning of his 100th birthday, Allan Karlsson escapes from his old people’s home in his slippers, gets on a bus and leaves. Unknown to him, Allan is hunted by both the police and a gang of murderous criminals. In a series of crazy events this comic novel will take you all over the world from the comfort of your home. Le Cirque des Rêves arrives without warning. The book opens at night to reveal tents full of illusions and tricks—but little do the people know that real magic is at work. Celia and Marco, two young magicians, are destined to battle but fall in love not knowing that for the competition to be over, one of them must die. The Night Circus will draw you in with its incredible descriptions and noir aesthetic. With fall comes Halloween, so why not read a spooky book like The Witches of Eastwick? In this novel, three single women develop powers which they use to form a coven. The rich Darryl Van Horne comes into town and stirs the pot when he invites them to play in his mansion. This tale of magic and sexuality is an essential read this fall—it’s not for the faint of heart! If witches aren’t your thing, try angels and demons in Terry Pratchett and Neil Gaimon’s novel Good Omens. According to the only completely accurate book of prophecies ever written, the world is going to end next Saturday. A demon named Crowley and an angel called Aziraphale have lived amongst mortals for a number of years and will do anything to stop the earth’s destruction. Good Omens is both satirical and philosophical and can be read by all ages—a must-read this fall. In this Margaret Atwood-esque novel, women suddenly find that they have the power to emit electricity. They can now hurt or kill whoever they want with just a touch—the gender hierarchy of the world is threatened. It is an interesting take on gender differences with some great characters. The Power is a must-read whatever the weather, but this fall is the perfect time to start this book. 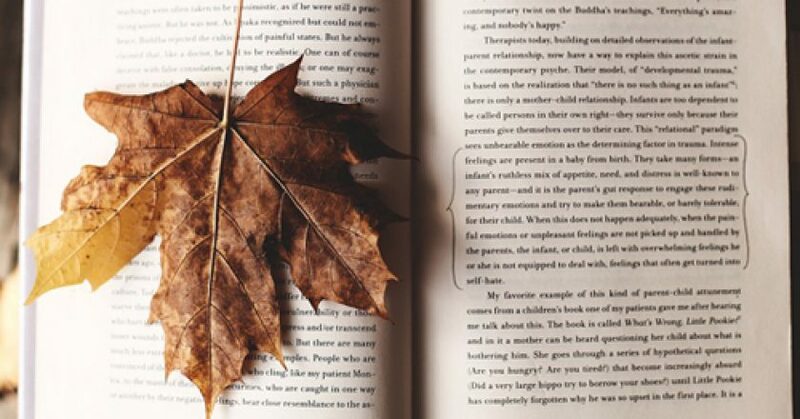 Do you have any recommendations for books to read this fall? Let College News know! Women have posted #MeToo on social media this week to share their stories of sexual assault or harassment in the wake of allegations made against movie mogul Harvey Weinstein. 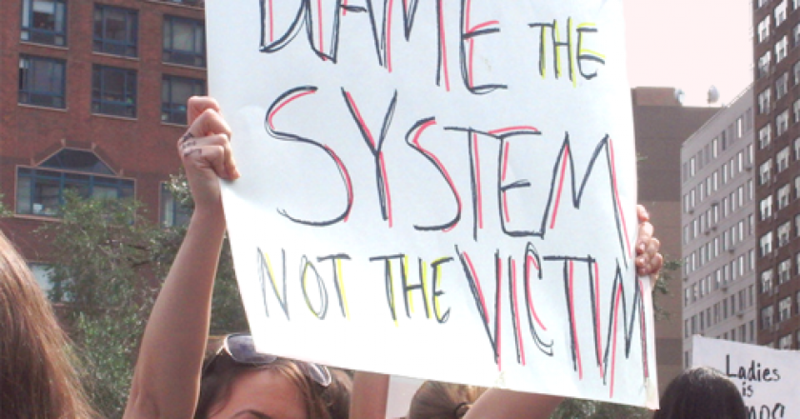 The movement aims to highlight how ubiquitous this problem is and to open a global dialogue on how to tackle it. Celebrities including America Ferrera, Monica Lewinsky and Lady Gaga have also joined in tweeting #Metoo. Over 60,000 people have since replied to Milano’s tweet. The allegations of Harvey Weinstein’s assault of dozens of women appear to be what encouraged women to join in. Since the stories of Weinstein’s victims surfaced, several stories relating to sexual assault and sexual harassment within the film industry and beyond have been brought to the public’s attention. Reese Witherspoon has said that she was assaulted by a director when she was 16. Carrie Fisher reportedly sent a cow tongue to a predatory producer after he attacked her friend Heather Ross. Singer Björk has also revealed details of being sexually harassed by Antichrist director Lars Von Trier. More women are sharing their stories online in the hope that a new attitude towards harassment will develop, especially in the film industry.